It's time for another polish review, this time for Jior Couture. This is a new-to-me brand, but it's definitely not new! Their polishes are always so creative and unique, and of course I wanted to review them for you guys! 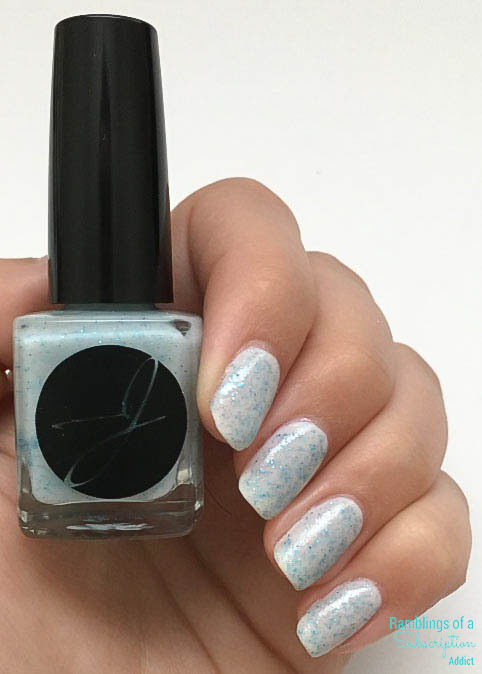 There are five polishes in this collection, and I have two of them to show you guys. These release tomorrow (July 8th) and there are seven total polishes in this collection, and you are going to want them! Both polishes I have are photochromic, which means they darken slightly when you go outside, as well as microglitter. I, unfortunately, couldn't get mine to change as well as I would have liked (thank the lack of sun! ), but they do change! Lapis Lazuli - pale blue in shade to sky blue in sunlight. First off, I love these their brushes are absolutely perfect. 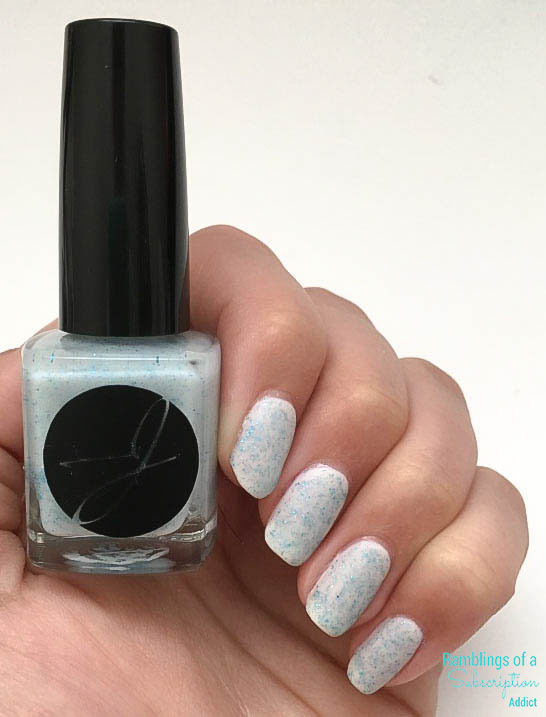 They are thicker so they cover the majority of my nail so easily, and they pick up just the right amount of polish! I used Lapis Lazuli over a white base and absolutely love it like this. 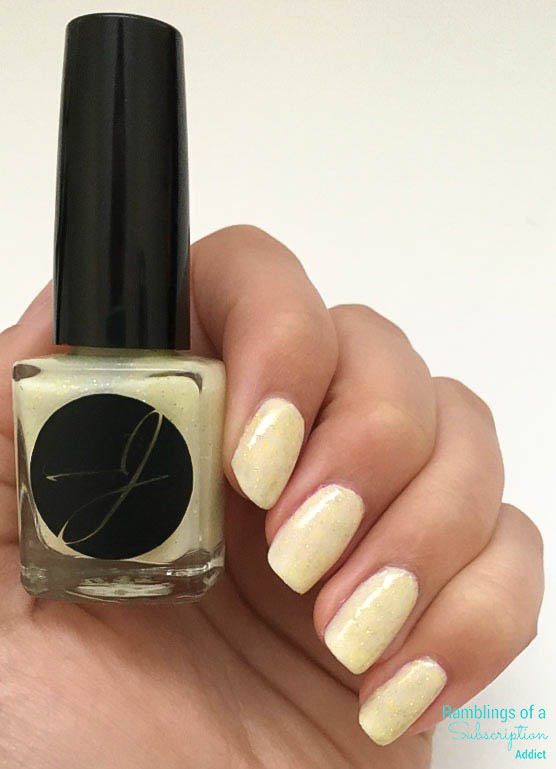 This isn't a full coverage polish, so it does need a base to cover your nail well. 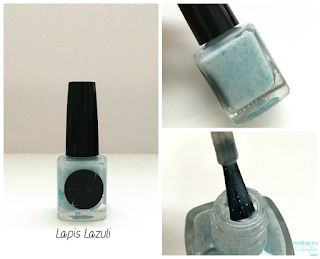 Lapis Lazuli dries to a slightly matte finish, so I did add a glossy top coat to add some shine! Lapis Lazuli in its out-of-bottle state. Shown is three thin coats of Lapis Lazuli over a white base. 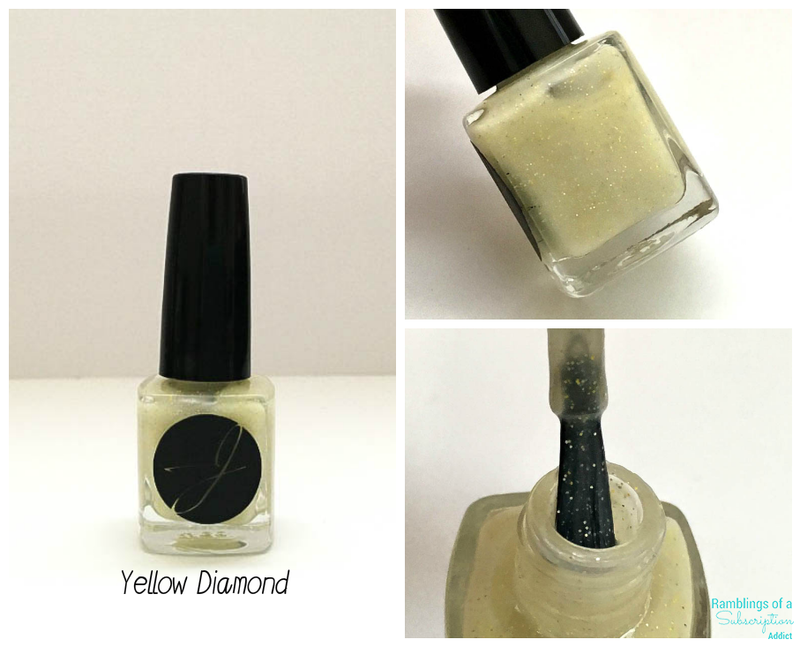 Yellow Diamond - light yellow in shade to a darker yellow in sunlight. I'm always wary of yellows, I never know if they are going to make me look super yellow or if they are going to work on me. I'm slowly learning to like yellows, though! Again, I did use a glossy top coat to add some shine. 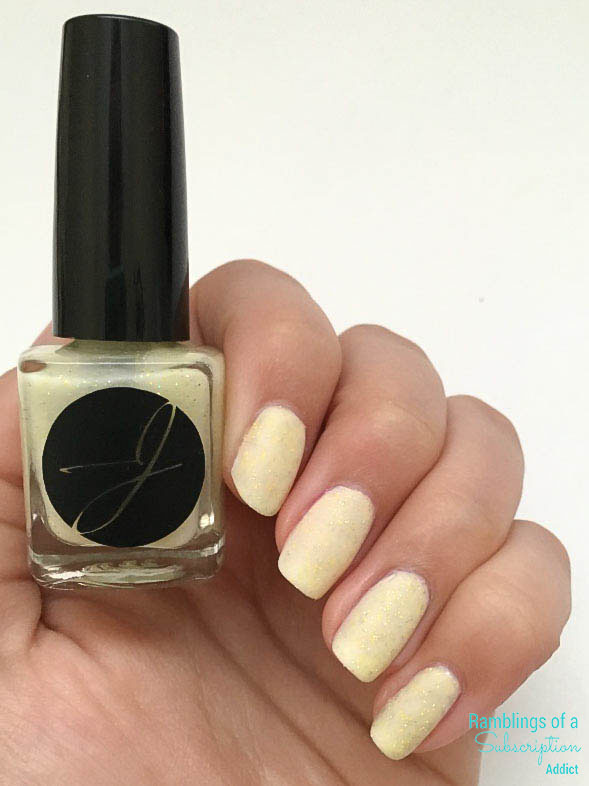 I'm not sure if the matte finish was intended, but it's definitely an amazing polish to have! The glossy swatch is slightly darker than the matte one, so it does turn colors some! I just have had an issue with the weather when I'm swatching. Again, Yellow Diamond is like Lapis Lazuli and is mostly matte in its out-of-bottle state. I do like the matte and it does feel velvety like it had a matte top coat on. I used three thin coats over a white base. I love these two polishes and I am so excited to see what the other five look like! Like I said before, these release tomorrow (July 8th) at Jior Couture!